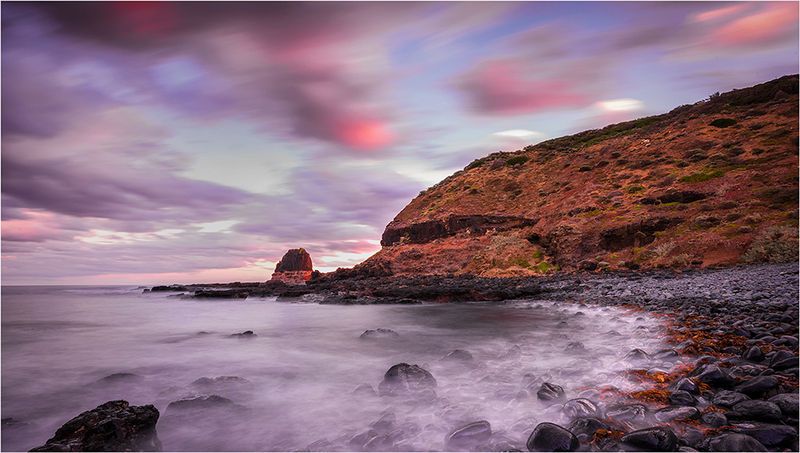 Cape Schanck is a located in the Australian state of Victoria. 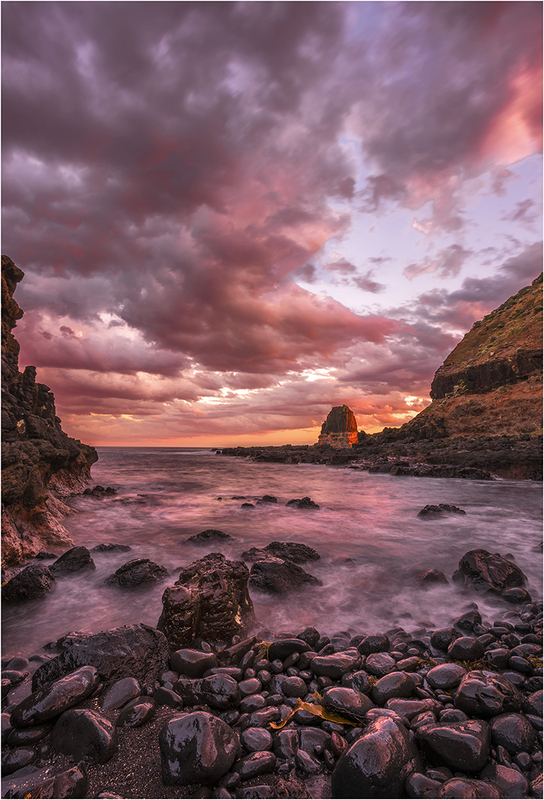 It is the southernmost tip of the Mornington Peninsula and separates the wild ocean waters of Bass Strait from the slightly calmer waters of Western Port. 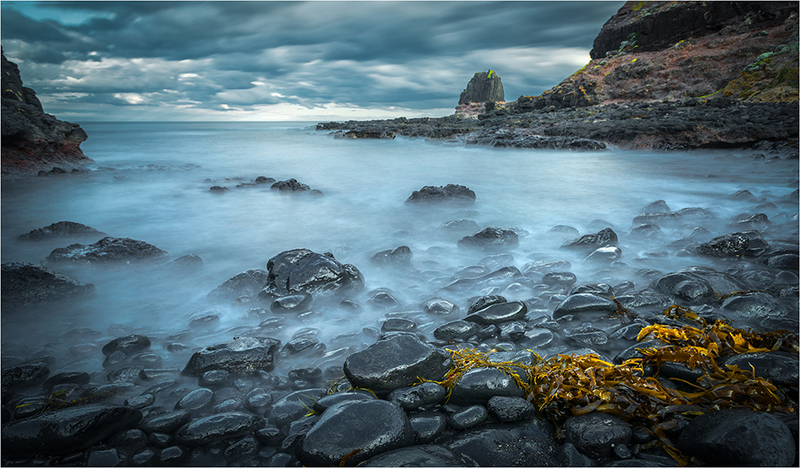 A popular spot for photographers, the location provides vistas to the south of rugged ocean beaches as well as the popular historical lighthouse. 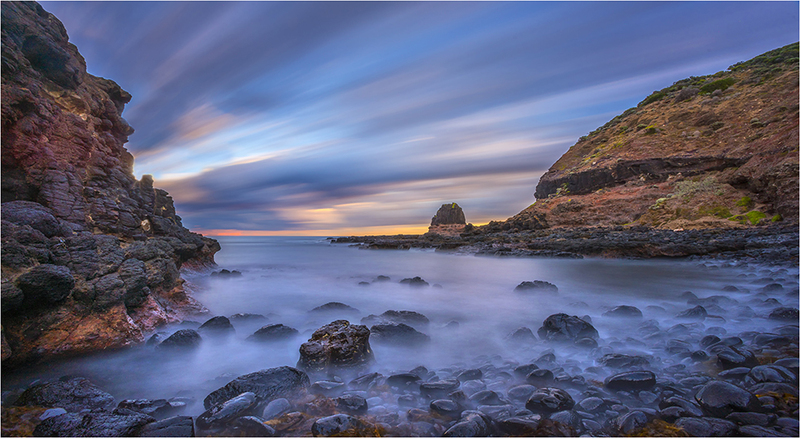 On an afternoon visit with a workshop conducted by well known landscape photographer Ian Rolfe, the low tide provided a great opportunity to do some long exposure work in the vicinity of Pulpit Rock. 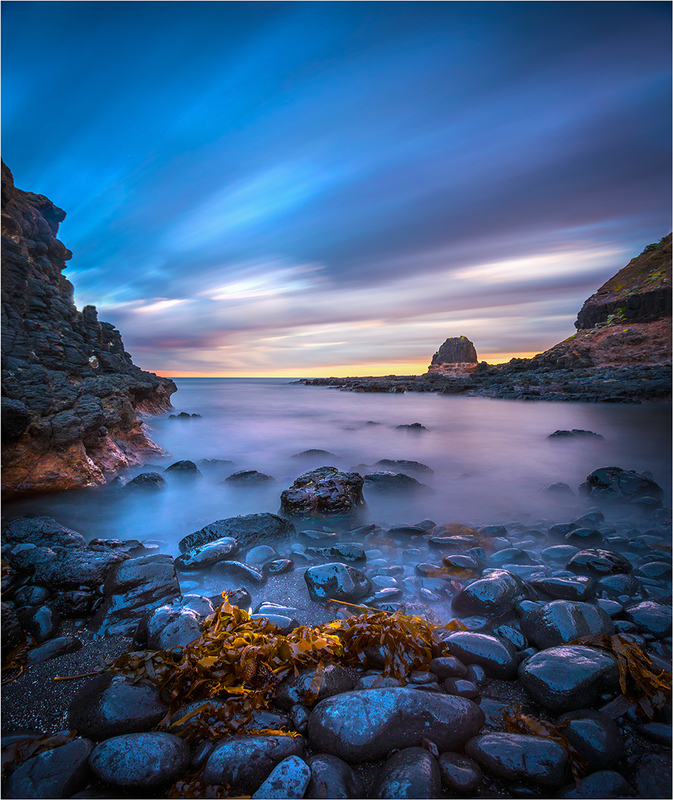 This first image was taken using a Lee Big Stopper, a 10 stop ND filter, which effectively increases the exposure ten fold. For example, in the image below without the filter, a normal exposure would have been 1/30th second. Multiply that by a factor of 10 with the filter attached and the exposure time runs out to 30 seconds. The effect with such a long exposure is that everything that is stationery remains sharp and anything that moves becomes a blur. 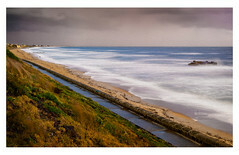 Since the only things moving are the sea and clouds the effects can be quite dramatic. As an experiment I then added an FL-W filter more commonly used in the days of film to correct the colour cast of fluorescent lighting. The filter effectively cuts out part of the light spectrum giving a warming colour cast to the image. Combining this with a smaller aperture, the extra loss of light from adding the filter and the setting sun, the exposure has extended to 240 seconds, or 4 minutes. At this point the timer on the mobile phone becomes a handy tool. You will see in the image below just how much warmer the colours are and with the longer exposure the structure of the clouds has changed to a complete motion blur. 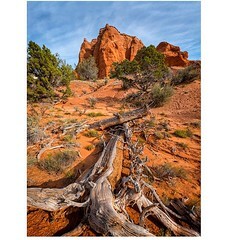 Like all photography, composition either makes or breaks the image, so without getting too engrossed with exposures and filter effects another look at the scene and shooting on the vertical gave a better perspective. The image below was shot at 180 seconds. In the next image I decided to put the 10 stopper away as the light was now falling off considerably and I could shoot with just the FL-W filter attached. With the strong blue colour cast of the Big Stopper now off the lens, this allowed the warming effects of the FL-W to work to their fullest degree. While some may not like the artistic effect created, I rather like the drama it brings into the image. At an exposure of 2.5 seconds there is more structure in the movement of the water and thus a much different effect to the longer exposures that run into minutes. Finally to complete the session and to capture the last of the suns rays falling on Pulpit Rock I managed a 25 second exposure that caught the movement of the clouds in a rather pleasing way. As you can see from the variation between images, the artistic effects of using just a couple of filters can be quite diverse. When you combine that with the unpredictability of mother nature the creative juices start to run wild.